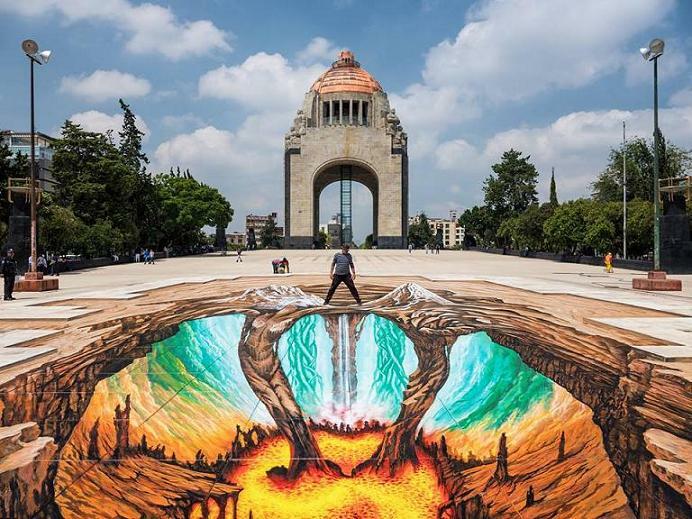 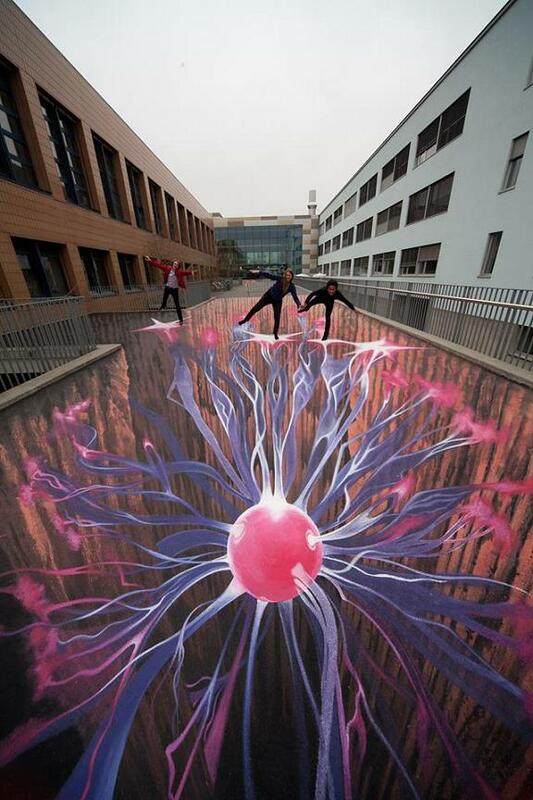 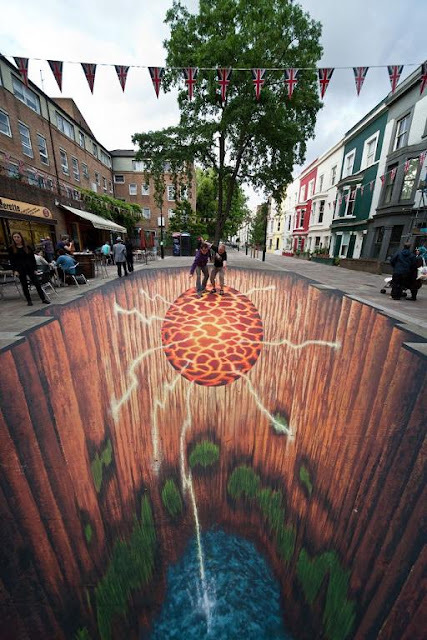 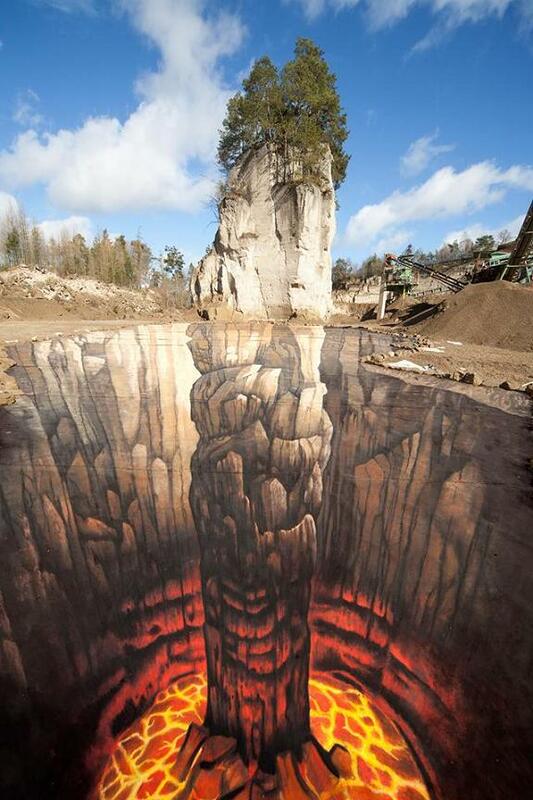 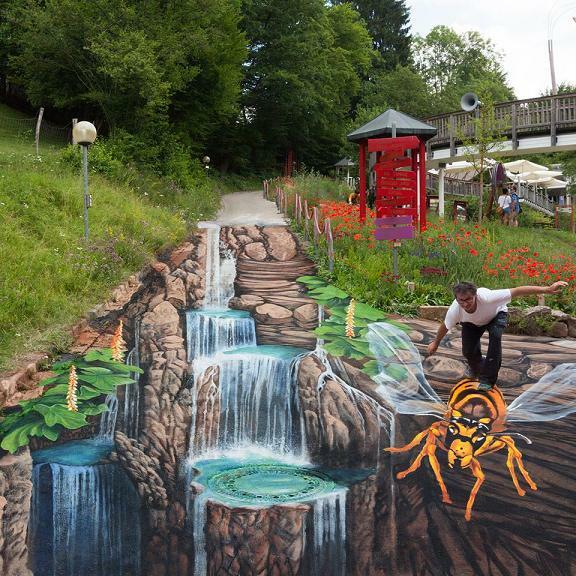 When it comes to 3D Street Art Illusions then Edgar Müller never fails to impress us all. This German artist is one of the masters of 3D street art who uses street as his huge canvas to create fascinating 3D street art. 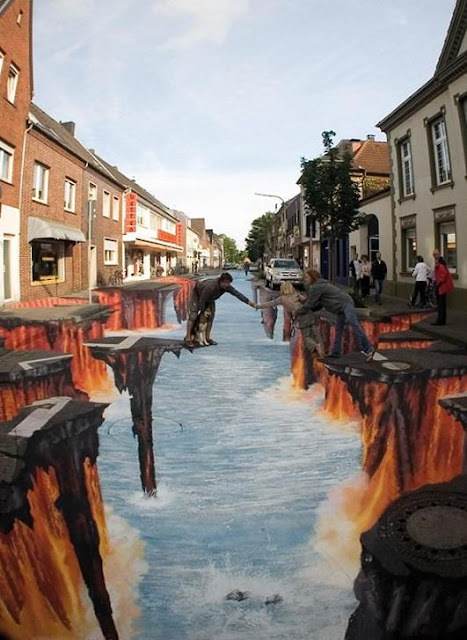 And when it comes to illusions, who don’t like good illusions? 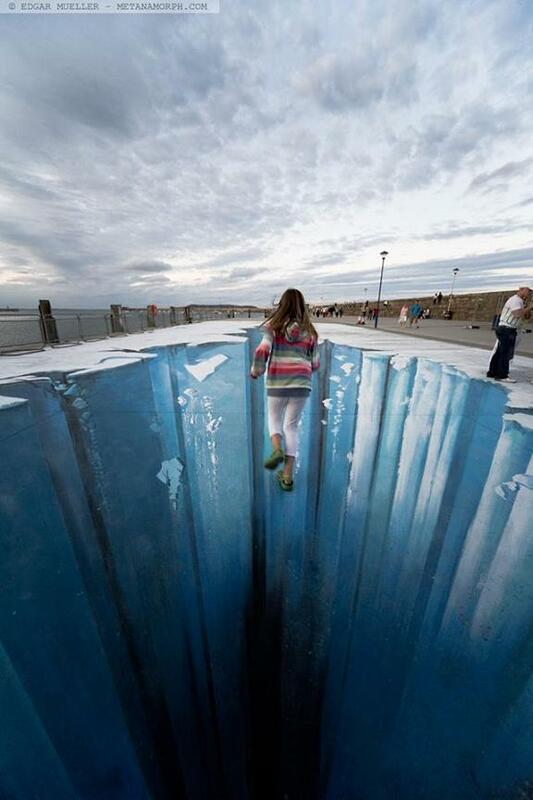 And for that matter street art is no exception. 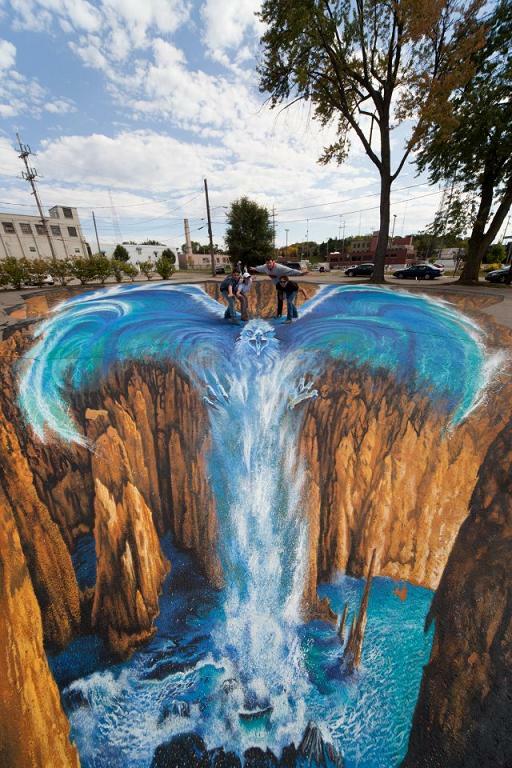 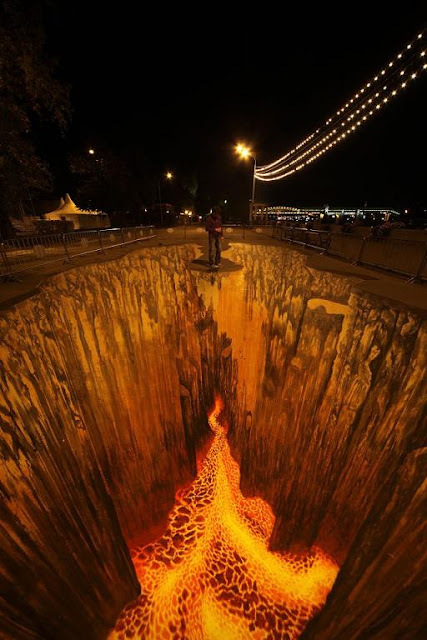 Artist Müller has to his credit a 3-D street painting that made history at the Sarasota Chalk Festival as it was designed to metamorphose. The painting was created using photoluminescent paints and it changed from day to night. 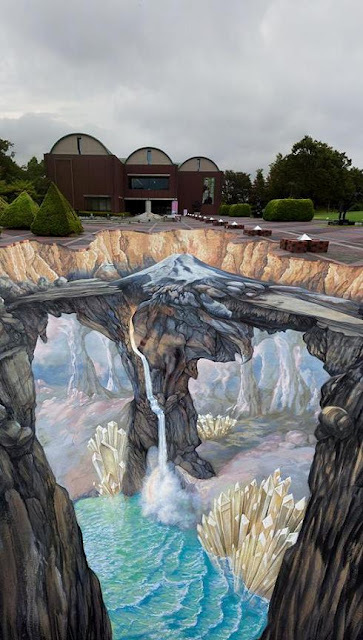 These impressive three-dimensional paintings when viewed from a particular angle creates a 3D illusion. More here: Facebook and Metanamorph. (Image credit: Edgar.Mueller.Official). 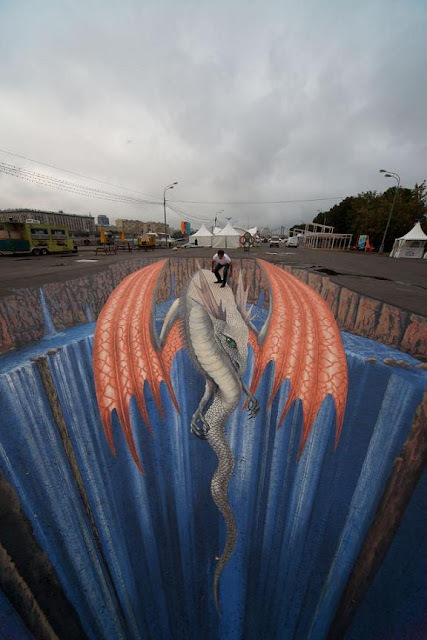 Copyright: Metanamorph.